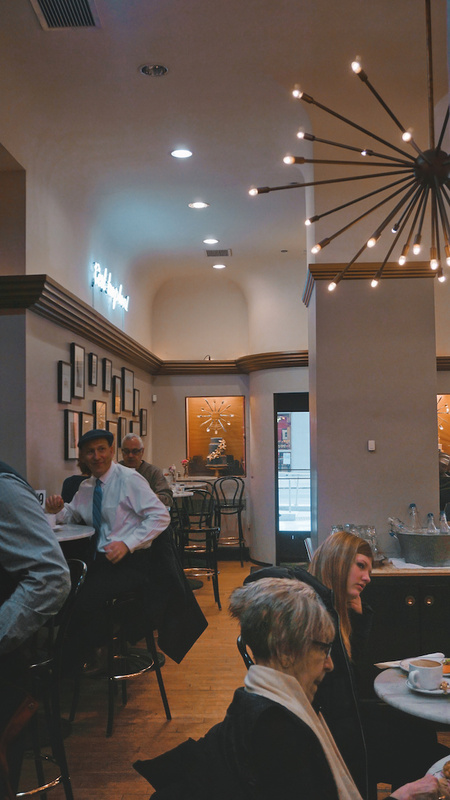 Mar 22 Layover in Chicago - What to See and Do? If you find yourself with a one day layover in Chicago, then it’s definitely worth taking a trip into town and exploring this vibrant city. Chicago offers a little something for everyone: from modern skyscrapers and timeless buildings to interior designs with European inspired flair. Situated next to one of the Great Lakes (Lake Michigan), there is a lot of open space parks and greenery along the lakefront, despite being so close to the bustling inner city. In this blog article, you’ll find some handy tips for getting around Chicago. From airport-city transit, to inner city public transport, as well as some of the main sights and good cafes located in or near the city centre. I spent a total of 7 hours in the city - not including transit to and from the airport. Biggest thanks and shout out to my friend Cherie for being the best local tour guide I could ask for! Originally I had planned to take the public transport (train) into town from the airport. But apparently, there are no luggage storage options at the Chicago O’Hare Aiport and check-in was not yet open for my flight (most of the smaller international airlines, such as AerLingus, are located in Terminal 5). So I ended up ordering an Uber, which appears to be the most popular mode of transport around Chicago. For me, the $18 journey took me just under 40mins and I only had to wait 5mins for the Uber. However, my return journey later in the evening cost a lot more and took much longer. So factor in extra time and cost for this option… just in case. If you have never taken an Uber before, I can honestly say that it’s the fastest and most efficient way of getting around Chicago. As a budget traveller, I love saving a few bucks whenever I can, so here is my personal code if you want to save yourselves a few dollars on your first three Uber ride! Length of time: 45mins + 10-20mins to get there depending on which Terminal you arrived at. It costs $10 for a 24hr pass to all public transport in Chicago. Otherwise, each ‘trip’ would cost you $2.5 - no matter the distance. So if you are travelling by bus or train more than 4 times, then it makes sense to get this. You can purchase tickets at the Subway/Metro stations by cash or card. There is so much to do and see in this city, you can’t possibly explore everything in one day. Thanks to Cherie, I got to see both the touristic attractions as well as the local scenes and hubs. If it weren’t for her, I honestly wouldn’t even know where to start! Ask anyone who has been to Chicago and this will be the first thing they’ll tell you to see. Officially called the ‘Cloud Gate’, it’s more commonly known as ‘The Bean’ and is quite literally a bean shaped arch with a very interesting mirror-like surface. It’s located in the Millennium Park, right by the lake front. Many concerts are also hosted here during the summer months. The park extends down the lake front into several other parks, which is great for a nice long stroll. Directions: From the airport, take the Train (Blue Line) to Washington Station. From there, it’s a short 3mins walk to the Millennium Park. 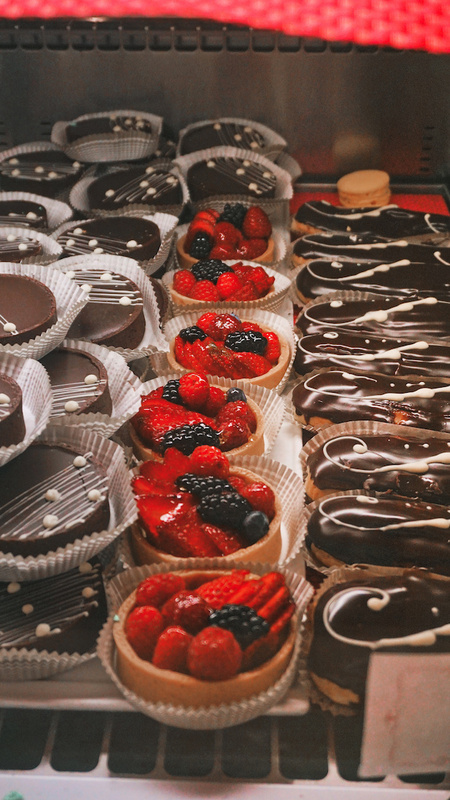 Just a short walk from the Millennium Park is this charming European style Cafe & Patisserie, with Crêpes, Macaroons and all sorts of Patisserie on display. They also offer a large range of savoury dishes such as Savoury Crêpes, Croque Monsieur, Salads and Quiches. Perfect for breakfast, brunch or lunch! There is also an extra seating area at the back, which is much quieter. The ambience in both dining areas are very nice, however, I especially liked the decor and lighting ambience in the main room. Highly Recommended. Price Range: Definitely a high end cafe. One Savoury Crepe cost $12.50. Coffee generally costs $3-4 depending on size. 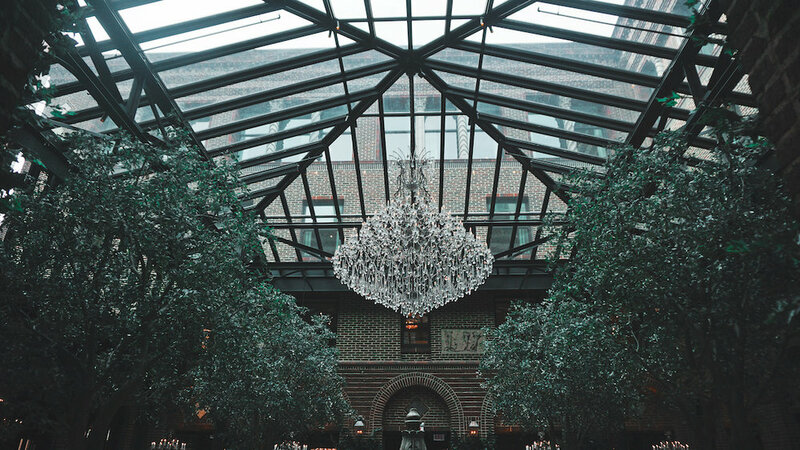 After a full stomach, we headed over to the Restoration Hardware, which doesn’t exactly sound like a place you’d have on your must-see list… but wait till you step foot inside! Think of an IKEA showroom, but on steroids in terms of luxury and $$$. There are no price tags on them, but all furniture and items on display are indeed for sale - “they just assume that people who want to buy these items are rich enough to not really care about the price tags”. Fair enough. 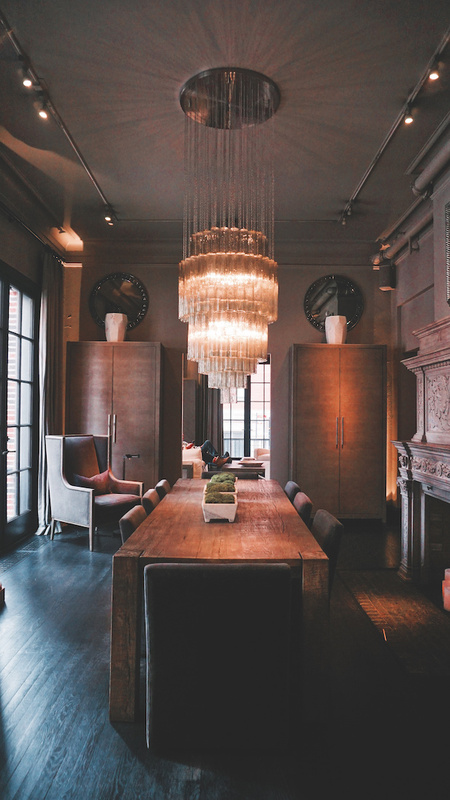 While I’m not one for luxury, I do love art - and this elegant, creative showroom encompasses just that. It definitely takes on an aristocratic European style - some rooms are inspired by the Parisian glamour, whilst others had a Mediterreanean vibe, and you’ll even find cozy wooden Scandinavian inspired rooms. It’s a very comfortable and creative sphere - would highly recommend this for poeple who love interior design and home decor. The 3 Arts Cafe, is located on the ground floor with a very open and green space. We didn’t eat here as it goes without saying that the prices match that of the furtniture. But very beautiful to look at and to photograph of course. This is another large park, actually host to a zoo - but for ethical reasons, I dislike visiting zoos. However, the nice thing is that the large park area outside the zoo is free for the public to roam. There are some nice ponds and bridges with lots of cute, curious squirrels scurrying about. If you have a lot of time, then North Avenue Beach could be a place to check out. As it was winter during my visit, I really felt like a cup of hot tea at this point… which brings us to our next place! For Bubble Tea lovers, you are in heaven here! They serve super fancy Bubble Teas and Matcha Lattes (and so much more). Best Matcha Latte I ever had! It’s located in a food court, so you have the option of combining that with a nice meal. Lots of authentic drool worthy Chinese food here - I wanted to eat everything! We also spent some time just strolling down China Town. There’s a lot to see and a lot eat (as always). Cool vibes and very multicultural atmosphere. Our last stop was back to Down Town Chicago. If you come from Millennium Park, head towards the DuSable Bridge and admire the huge skyscrapers . At this point, we were just wandering (and freezing). Getting there: a few minutes walk from Millennial Park. Alternatively, you can arrive at the Salt/Lake Station with most train lines. allow extra time for transit and always aim to get to the airport 2.5hrs before your international flight, just in case of traffic jam. I got really cheap internal flights to Chicago from Ironwood, MI (IWD) for as little as $85 via Air Choice One﻿. They are a small company which only fly to a limited number of desination, but I would highly recommend checking them out as an excellent (and cheap) alternative to other American Airlines. Their planes are usually very small and very cozy. The seats are so comfy and you feel like you’re sitting in a private jet! Certainly an experience in itself! 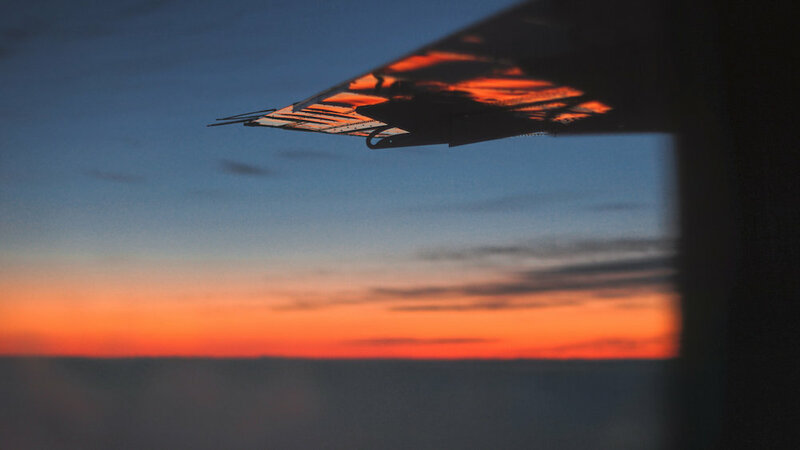 The pilots were super nice and I really liked the warm, friendly atmosphere of a small plane. That is the end of my one day layover in Chicago! Thank you again to my lovely guide Cherie for a memorable day! Layover in Chicago - What to See and Do?